I read the email twice. It said “You will have a great time with Chef Simone, she is crazy fun.” That’s a lot to live up to (or down to, depending on how you define crazy). Our Chef, we learned, specializes in cooking with alcohol, flambé style. Whether she also cooks with alcohol IN her is likely up to her, the day, and her mood. As we learned, in Chef Simone’s kitchen, what she says goes and she is, as advertised, crazy fun. There were a total of eight of us in the cooking class – including a couple showing up about 30 minutes late and apparently unbeknownst to Chef Simone. But that didn’t slow her down for a second. Once you are in Simone’s kitchen, you are one of her people and she is going to take care of you. Have no doubt. After some introductions, she told us to gather around and get closer – “I don’t bite!” she promised. We all cozied up to the kitchen island and watched as Simone prepared a linguií§a appetizer – very common dish in Brazil. The simple linguií§a is cooked quickly, flambé style, in order to sear in the flavor and create a nice crust on the outside of the sausage. Chef pointed with her knife at various audience members, prompting them to get to work chopping or sautéing. In Brazil, when you find sausage, onions are not far away. One was chopped up and similarly flambéed. We sampled the sausage first with this simple preparation, and then Simone added something a little more. She made quick sauce with fresh onion, a dash of oil from marinated spiced Malagueta peppers and a good dose of fresh lime. “The fatty sausage needs the lime in order to help the digestion” she insisted. I don’t know about that, but the flavor that was already good was made just that much better. Next we sampled a simple cheese called coalho that had some of the moisture removed using salt. 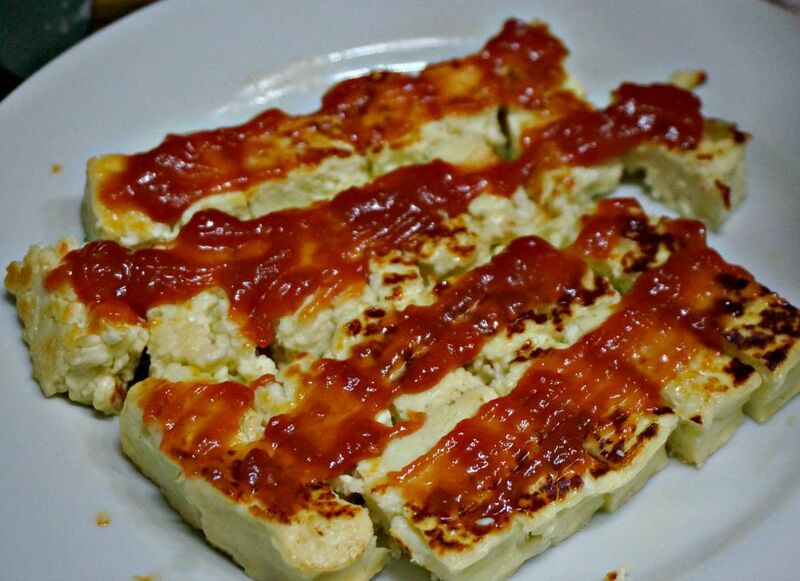 It was fried in a pan until toasted and covered with a paste of hot sauce, lime and guava paste. 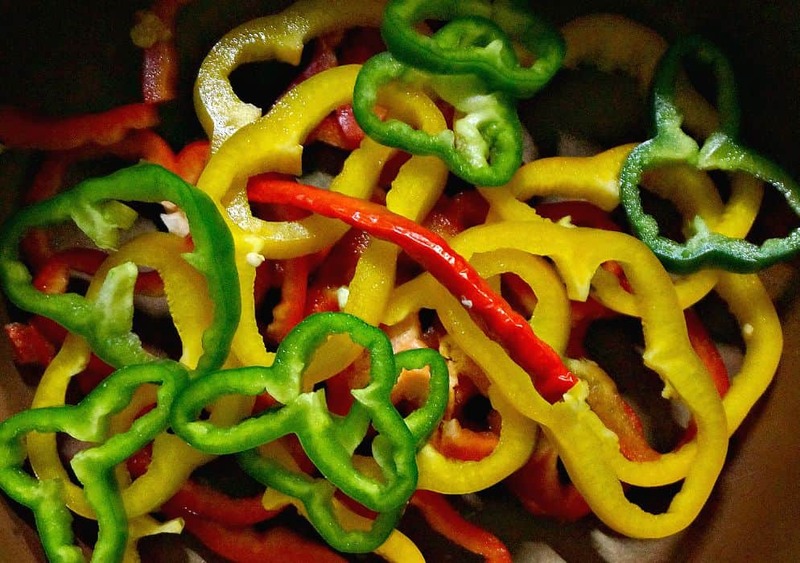 It was the perfect balance of sweet, sour, salty and spicy. And according to Simone, each chef in a Brazilian kitchen knows very well how to make the perfect blend of flavors. She shook a spoon for emphasis. “Don’t ask for pepper or salt with your food, you insult the chef.” This explains why we never find salt and pepper shakers on restaurant tables in Brazil. Afer snacking on the appetizers, it was time for a drink. We would be making the Brazilian national drink, the Caipirinha. A simple preparation of caipirinha spirits (Cachaí§a), fresh lime and sugar. And just to give it a special twist, Chef Simone added a touch of passion fruit. The citrusy boozy cocktail complimented the warm evening and bold flavors of the food we were cooking perfectly. You see, the chef always knows. When the crowd go too far off task, distracted by the caipirinha and appetizers, Chef Simone whistled for our attention. She laughed and told us that her 14-year-old daughter will come running from across the neighborhood when she hears her mother whistle for her – trick she learned growing up in the Amazon without phones. “I am loud and I say what is on my mind” she said, insisting that doing so is better for your health (and for keeping an unruly teenager or a group of rowdy cooking class participants in line). We were then set to work making Moqueca, a classic Brazilian seafood stew that we were going to pair with banana farofa (a simple side dish made with manioc flour) and rice with garlic. Apparently, the rice was really the most important part of the dish. Brazilian girls, according to Chef Simone, first learn to talk, then to walk, and then to dance the samba. And after that, every brazilian girl learns how to cook rice. That is what it is to be Brazilian. 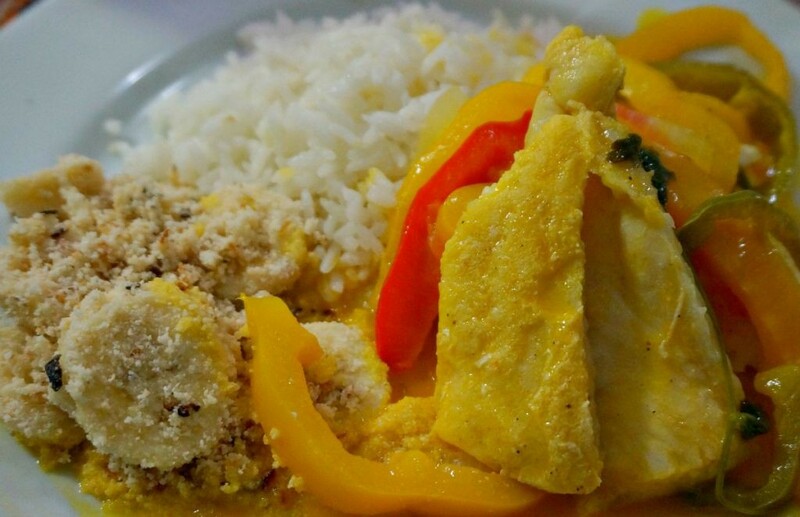 The rice was quite good, and the Moqueca, a white fish sautéed with onions and peppers in palm oil (adding of course lime and hot sauce) and finishing with coconut milk to meld the flavors, was fresh light and delicious. As we ate (and as I recall everyone pretty much finished down to almost licking the plate), Simone entertained us with her observations about Brazil. When we told her that we were staying in an apartment rather than a hotel, she observed that the doormen could give great recommendations regarding where to eat. She also remarked “In your neighborhood, the doormen always have a mustache and a bird, and they are from the northeast.” You know, outside of our building there is a bird…. 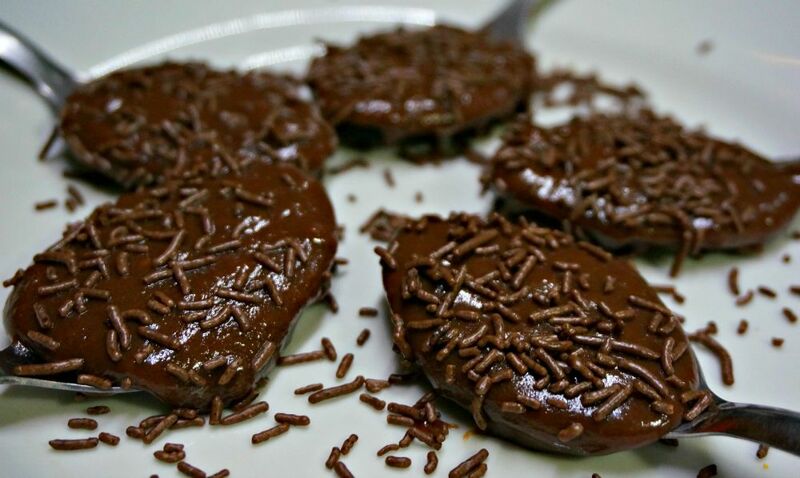 Our last bite of the evening was a decadent spoonful of brigadiero. It is similar to fudge but less firm and usually shaped into a ball. We made individual serving directly on a spoon – which ended up being just perfect. This food, according to the chef, is what mothers make for their daughters when they are broken-hearted. She demonstrated weeping over a boy and consoling herself with a spoonful of the gooey chocolate concoction. Next time I’m unlucky enough to have a broken-heart of my own, I might just give it a try – it was so good I think that it may just work. A special thank you to our friends at Cook In Rio, who provided us with this cooking experience and some inspiration for recipes from the class. Our opinion, as always, remains our own. 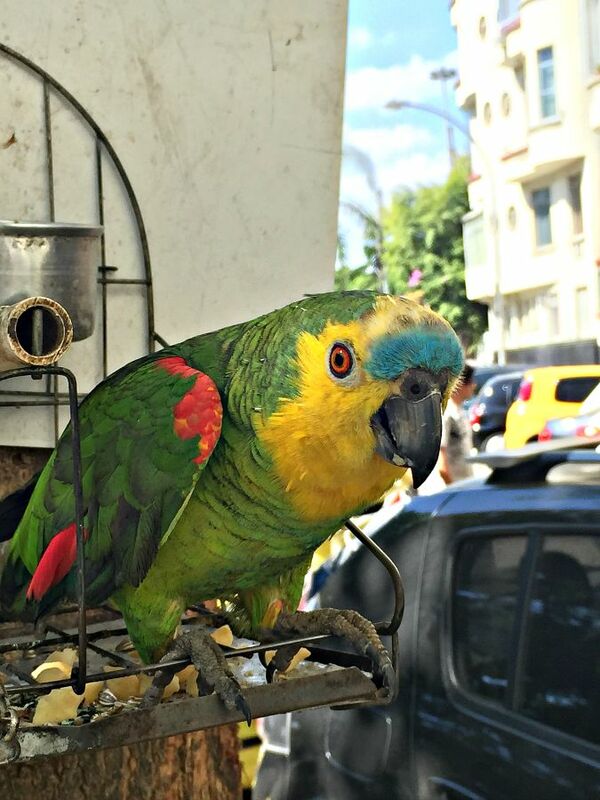 Interested in learning even more about Rio? A colleague of Simone’s gave us a copy of his guide to Rio, which has everything you need to know about visiting the area (even if you’re not a partier!) 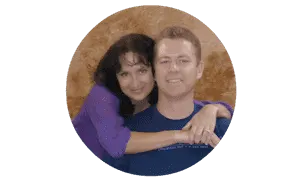 Click on the link and download it for FREE! Note: Some of the links contained in this post are affiliate links, which means that we receive a small percentage of the cost for items purchased using the link. Thank you in advance if you decide to click – we appreciate it! Brigadieros are my obsession these days – never heard of them until a few months ago and now I’m finding them everywhere. Definitely worth a cooking class just to master these sweet treats (but I wouldn’t say no to the rest of the goodies either – it all looks so colorful and fresh). Love this! I had always just imagined Brazil to be very red meat oriented! I could actually eat some of these dishes! That grilled cheese looks amazing! OMG… I probably wouldn’t have held back from licking the plate! Everything looks delicious! I’m a sucker for most things with warm cheese, so the pan-toasted coalho cheese probably would’ve been my favorite! I am a lover of chocolates (think Ben & Jerry’s chocolate therapy) so that brigdiero sounds so good, I gotta have it. It will now be my mission to find it here in the Phoenix area! Or find a recipe on the Net! Thanks! Oh yum!! 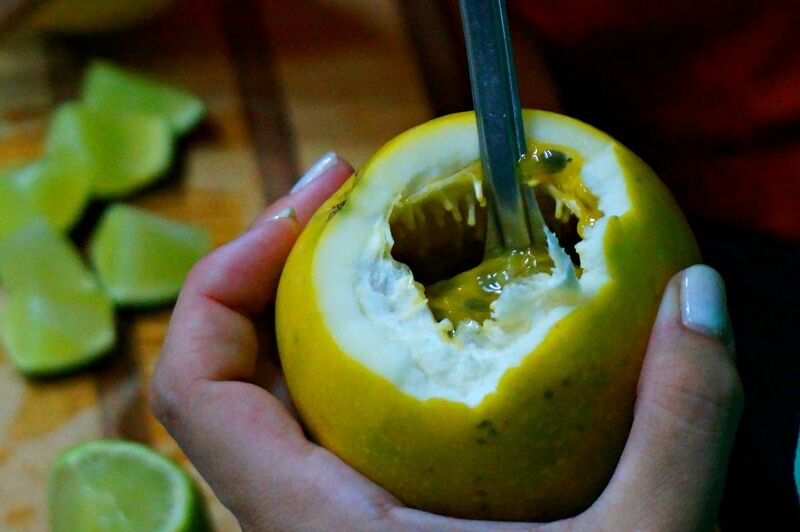 Caipiranha with passion fruit? Sounds amazing. I love doing cooking classes. I did one with a man named hip-hop in Vietnam and he was awesome. That does look fun and very yummy! I don’t think I’ve ever had Brazilian food, but it all looks so good, I wouldn’t mind tasting a bit from every dish! I’ll have to look for a Brazilian restaurant in the neighborhood. That looks delicious. I love â€œI am loud and I say what is on my mindâ€, sounds like a lot of Brazilians. What a great culture with great food. 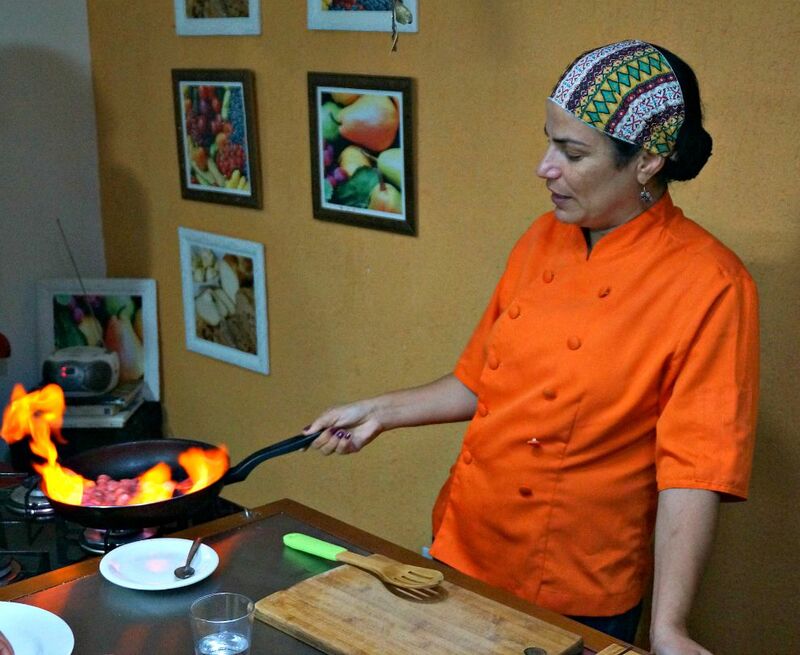 I never tried cooking class yet but it’s a good idea to really delve into different cuisines when travelling…. I love your pictures. They look great! And, the experience sounds like a lot of fun! 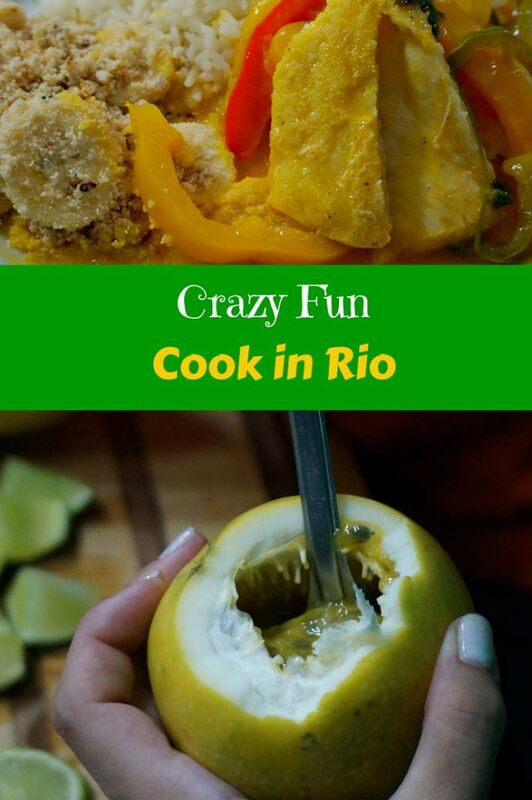 It’s definitely something I would love to do in Brazil, where they know how to make some good food!